The Chiffchaff is difficult to distinguish from other green-yellow songbirds. But the sound is typical: a constantly repeated chiff-chaff. 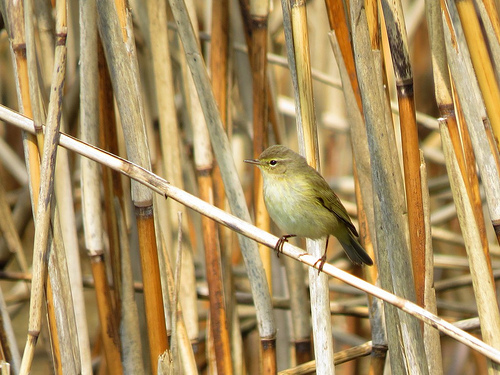 The Willow Warbler and the Chiffchaff are hard to distinguish at sight. The Willow Warbler has a nice, descending song. 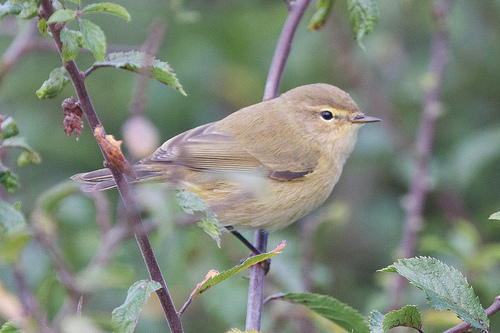 The Chiffchaff repeats its own name. The Wood Warbler has a bright white chest and a white belly. It has a very different song. The Chiffchaff keeps on repeating its own name.